How do so many psychopaths slip into positions of power without being detected? People with psychopathic tendencies who also have high IQs can hide their true personalities, new research finds. It helps explains how people who are dangerous risk-takers are able to fake their way into powerful management positions. 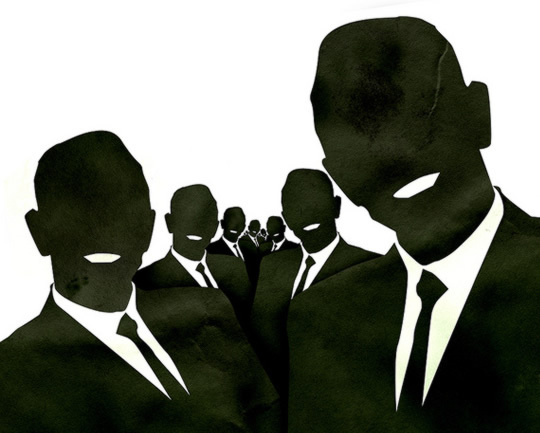 The conclusions come from a study to be published in the Journal of Forensic Psychiatry and Psychology, which was inspired by the unusually high levels of psychopaths amongst business managers (Bate et al., 2014). Research has found that while around 1% of the general population are psychopaths, the level rises to 3% amongst business managers. “I thought that intelligence could be an explanation for this, and it could be a problem if there are increased numbers of psychopaths at a high level in business. To test these ideas the researchers gave a group of people a standard test of psychopathy. They were also shown a series of pictures which tested their levels of empathy and, at the same time, their galvanic skin response was measured to assess their emotional reaction to the pictures. Psychopaths with average or high intelligence were able to regulate their galvanic skin response so that their tests appeared normal. Those psychopaths with low intelligence in the study, though, showed abnormal responses typical of psychopaths. Perhaps with this, and other techniques, psychopaths with high intelligence are able to blend in with other people by pretending to have the same responses as them.